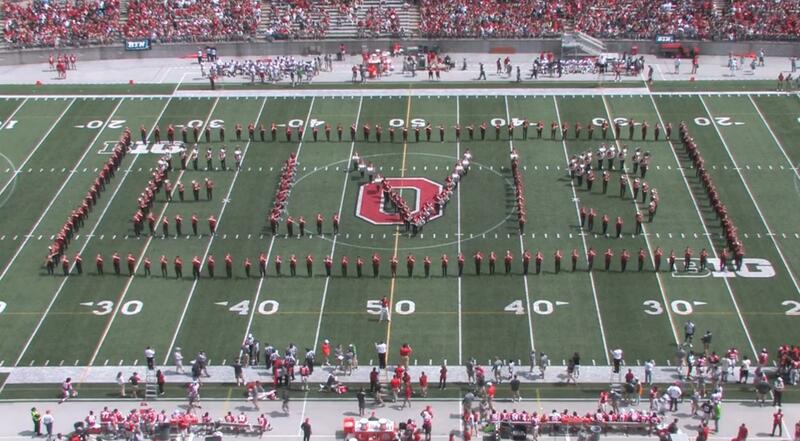 The Ohio State Athletic Band took the field at their spring game in front of 80K fans. They are one of the only band programs in the country that actually marches at their Spring game. This year they saluted Elvis with their signature moving picture formations. The Athletic Band is not the formal marching band that marches in the fall. It's a second band that performs at other sports and events throughout the year. Many of the members in the Athletic Band aspire to be in the marching band in the fall and use the Athletic Band to get a feel for marching in college. Enjoy their incredible show! Share so all fans can enjoy.